The thing is. I made a wallet that displays using /tellraw the currency of a person if he holds the item. how it works is when the player holds the item. then the it finds @a[score_WALLET_min=1] and if it finds it displays it. Problem if lets say someone goes afk holding that item. another person that wants to check the currency can't cause the command blocks are triggered. so it will show not only openwallet, but people that hold the wallet. I placed 4 command blocks. 1 - 4 in a horizontal position. There is a fill clock that the top sets the score of wallet to 1 if someone holds a book named wallet with the certain lore. 1) are you on 1.10 or 1.9? 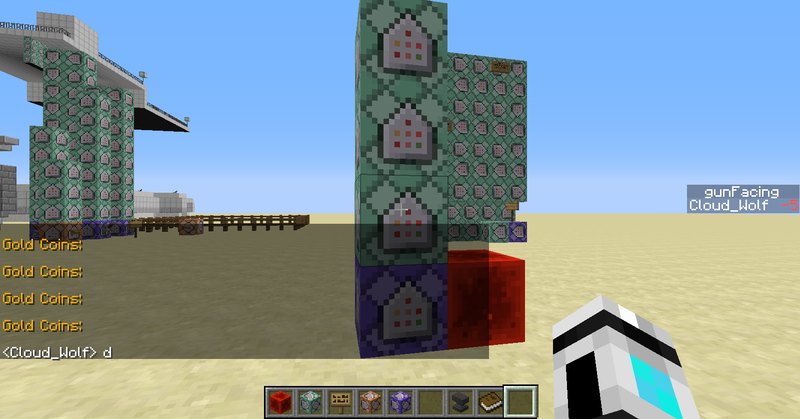 2) are you using a repeater command block with chain command blocks? It like spams it. and can you give me some background on TAG thingy. I am making an mmorpg server and I do need to make skills and such be compatible with multiple people. it spams it on purpose, you need more commands to not spam it. If you want, add a bunch of spaces before it with tellraw so it looks like its static. What kind of command I need to do to make it one time. Sorry to bother you any longer. yet it does not work. I went over the command block to see where is the problem and it is somewhere in the first line. It does not set the objective openWallet to 2. I did create an objective named openWallet as a dummy. it sets on 1. and it can't be used again. Did you have these commands on the chain? These commands don't need an order, I think. I haven't test it yet. So you have to expect it may not work. 1. New minigame for Christmas! (Yes it's over, I know...) Check it out! Joining the map server or giving me a download link to add stuff. This is mainly because I don't want some simple signs mentioning my name or my stupid head sticking to the wall. 4. You're welcomed to message me for help. Because you use a vertical chain. when you said top I though the last one in the chain. It does not work. it spams the lines. so of course it would spam cause now it would be 2 and so on. Hey, OP, may I offer an alternative solution? Rather than having the command tellraw stuff into your chat, why don't you just use JSON Creator for Minecraft to create a book that displays whatever your currency scoreboard objective is to @p (which will always be the player reading the book)? Because the thing is the score of the player remains the same untill the book is destroyed and readded. I tried to do this but for some reason I couldn't clear the book in the first place with the name and lore. no matter what I tried. I did what you told me to do.and It works once the player has the score of 3.
it adds 1 every 1 second. then it caps in 3. once it caps in 3 and it detects the player is holding the wallet using the WALLET method + the openWallet method then it shows the score and it sets it back to 0. then all over again. On second thought if an AFK player holds the wallet and the rest of the players have the score of 3 then it will do the thing. I'd like some help by you thanks. If you have the time to make a video sure. I have a lot on me. I am making a big rpg world and we are 14 builders and 1 command block coder.. thats me. And my knowledge isn't good enough to be doing this quickly. Ok, I was able to finalize it and actually test it. You just needed 1 more command bloc, but destroy what you have already just to be sure. The key command was the second to last, it makes sure that the players score never hits 0 or 3 until they are no longer holding the wallet! I added another command just because it would not reset once the command ends. 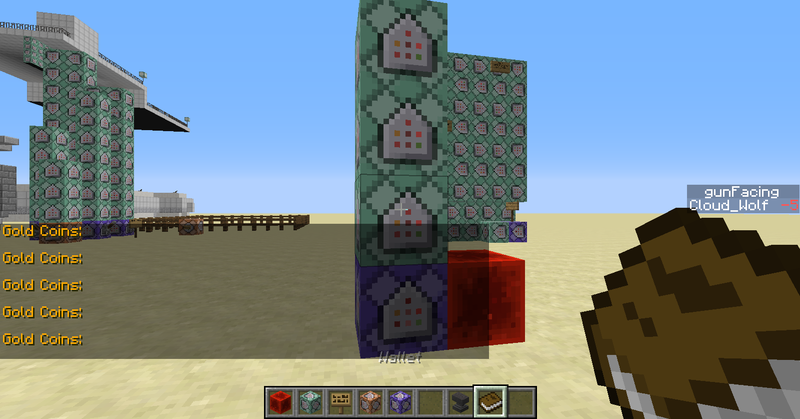 What I did is added a 1 second circuit to a command block and inside it checks. then it sets it to 0. Thanks for helping. its gonna make it hell a lot easier when I need multiple players to use spells at the same time.